There is an art to getting followers and engagement on social media platforms like LinkedIn. Here is what has changed and what you need to do to get results. A colleague recently emailed me a question about how to get results from social media. I thought sharing the question and my answer would help other professional service providers and business owners understand how to get results, namely more followers, comments and engagement, on your social media platforms. The social media platform in question is LinkedIn. “I have a LinkedIn question. Last year I started an aggressive LinkedIn campaign. I joined over 30 groups in my industry and began posting all my blogs, articles and newsletters to these groups. Though no direct business has come from the effort, I was receiving a decent amount of comments once the posts were broadcasted. Then, the comments ran dry. So I started doing some research. In the middle of March this year many of the groups that had regularly posted my entrees stopped. I asked my assistant to look into this. She believes my posts are now being included in a category known as ‘Promotions’ and are not included in the daily/weekly group broadcasts. From what you know about LinkedIn, does this ring true? If so, is there a way to circumvent the system? The value of LinkedIn, at least for me, diminishes greatly if I can’t post my blogs, etc. for group member viewing. The short answer is that, yes, LinkedIn made some changes to how Groups and Group Discussions work. In general, the changes that LinkedIn made in February 2015 (they were announced on February 17, 2015, in a post their Help Center) are designed to discourage spam and use of LinkedIn for self promotion as a Group member and perhaps as a Manager as well. For many years my clients and colleagues complained about LinkedIn Group Discussions. They seemed to be a waste of time because they were full of self-promotional spammers hawking products, services and events. It was hard to find real prospective buyers on the Group Discussions, so most people didn’t even try. Automation helped people share their blog posts, product pages and events on LinkedIn Discussion Groups. Many used dialogue boxes like the one pictured below to share their update with connections and also with select groups. 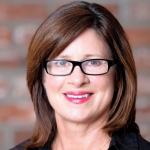 Sammons went on to say that upon review of posts that were automartically filtered out and placed in the Promotions tab by LinkedIn, she believed the posts included the words “I” and “My” in the topic and included links. Group Managers can move posts back to the Discussions tab, but if they are short on time or if the group is large, there is a low chance this will happen. LinkedIn will remove a post from LinkedIn altogether if members make “repeated complaints” about the post. There is no mention of how many complaints, and this used to be the responsibility of the Group Manager(s). Other changes include removing the Top Contributor and Statistics from displaying on LinkedIn Groups, as well as the optional Group cover image. Read more about the changes on LinkedIn’s Help Center here. What do the changes to LinkedIn Groups mean for members? As a member of LinkedIn Groups, your focus should be on participating in discussions and sharing your knowledge and opinions. Ask questions on topics that you have an interest in and use the ensuing discussions for information that you can write about and share in your blog posts. If you truly feel that a blog post, infographic or video that you created is valuable, post it to the group and write a discussion headline that is custom to that particular group and that invites participation. LinkedIn is probably tracking exactly what you share, post and like on its platform. If you are using an automated method to update one link to 30 groups, you may be being flagged as a spammer. If others on the LinkedIn discussion groups marked your posts as promotional or inappropriate, your value or “score” (assuming that LinkedIn is tracking these things) as a contributor could be diminished. What do the changes to LinkedIn Groups mean for Group Managers? With these new changes, LinkedIn is trying to embed anti-spam measures into its Groups features. It’s very likely that most Group Managers do not have time to handle the volume of posts that get added each day. The changes also reduce the focus on group size and activity level and bring it back to discussion topics. LinkedIn removed the Top Contributor information at the top of each group. Some suggest that this is just as well, as Top Contributor was based on volume of posts, not quality or interaction. It seems that features like Top Contributor – which may have led to more spam – are the ones that were removed. These are the things that focused on an individual or reflected well or poorly on a Group Manager. It’s my opinion that some service providers have created LinkedIn Groups as a form of self-promotion. I would be very cautious about using a LinkedIn Group as a critical marketing activity, because of the very thing that happened in March – LinkedIn changed the way groups worked, taking away features that some managers relied upon. The same thing happened in the early days of Facebook Pages for business – some built a huge following and lost the ability to easily reach followers when Facebook made changes. LinkedIn never intended that its platform be used for self-promotion. It is for connecting and adding value for others while you gain value from your connections and their knowledge. So, in order to get value from LinkedIn, you have to stop pushing content and add value for others. Adding value for others on LinkedIn can mean you continue sharing your blog posts and other content. My colleague who posed this question is an extremely knowledgeable consultant who gets tremendous results for clients. He has a lot to share. However, he needs to do that in responses to questions when a blog post provides the solution to a problem that someone is discussing in a group. Don’t stop posting your links to your blog topics! Just do it in your LinkedIn profile update and on your LinkedIn Company Page if you have one. 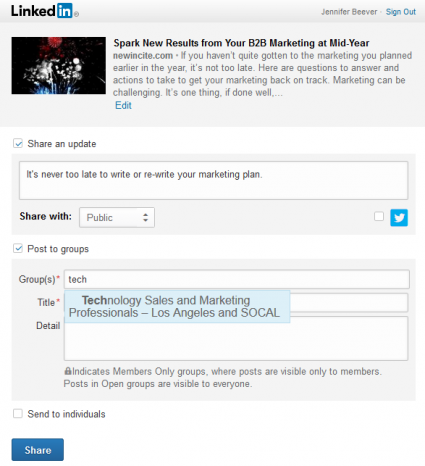 As many of you know, you can now post blogs directly on LinkedIn. When you’re in LinkedIn Groups, ask questions that you are truly interested in. Post a link to an interesting article by a trusted publication in your industry, give your opinion, and ask others what they think of it. Once you have generated a discussion and get others’ input, then re-purpose that information into a blog post. I have helped my clients generate lists of quality leads through participation in LinkedIn Discussion Groups. But the discussions have to be genuine and interesting, not just a topic generated by pushing out a link to a blog post. Adding value through participating in LinkedIn Groups takes time, but it doesn’t have to be hours every day. I wrote a blog post about how, in as little as 10 minutes every day, you can connect and engage with others on LinkedIn. Read the post here – I think it has some good ideas. If I wanted to post that topic on a LinkedIn Group, I might ask the question, “How much time does it take to generate results from LinkedIn?” in a discussion group. In the description of my discussion question, I might explain that I wrote a blog post and stated that you could get results in 10 minutes a day. I would ask potential discussion participants for their opinion – do they agree, disagree, and why? So, reader – LinkedIn in 10 minutes a day? Can it be done? Please provide your opinion in the comments below. I hope this blog post has added value for you! 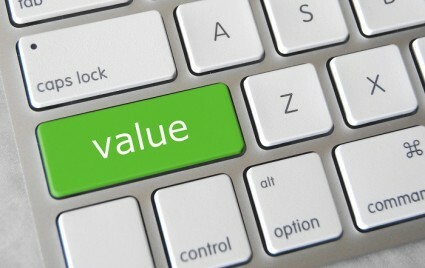 Adding value as a marketing strategy is a really important concept to grasp. Chris Brogan, co-author of Trust Agents with Julien Smith, wrote that for every one promotional message you put out on social media, you should put out a dozen that help others. And Chris is still doing it today on his blog and on social media – I continue to follow his valuable information. Do you need help creating marketing content that adds value for your target audience? Please contact New Incite today – we provide marketing analysis, plans and provide marketing implementation to generate the results you need. Photo by Jake Rust of GotCredit.com on Flickr. Some Rights Reserved. Thanks so much for this hugely insightful blog. You have answered questions about the changes to LinkedIn groups, which LinkedIn themselves have failed to do and which, in the process have upset a lot of LinkedIn members and group managers. Thanks again for taking the time to create and share this article, which I will now be sharing with my network. Thanks, Steve, I’m glad my post on LinkedIn Groups helped!